Early Indian civilisation was known for its scientific achievements in many fields and seekers of knowledge from the West (Arabia and Greece) and from the East (China) came to India to learn and carried back with them the philosophical and scientific wisdom of India. 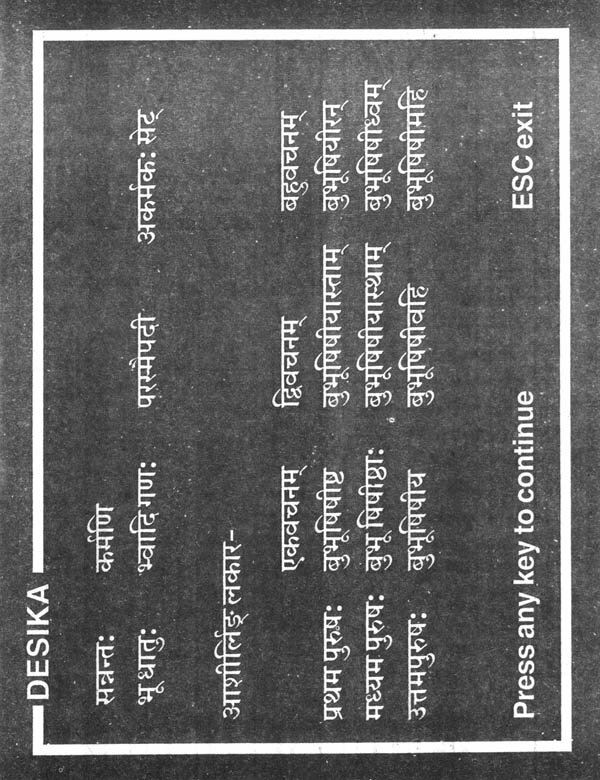 All this profound knowledge was in the Sanskrit Language, the language of the learned. 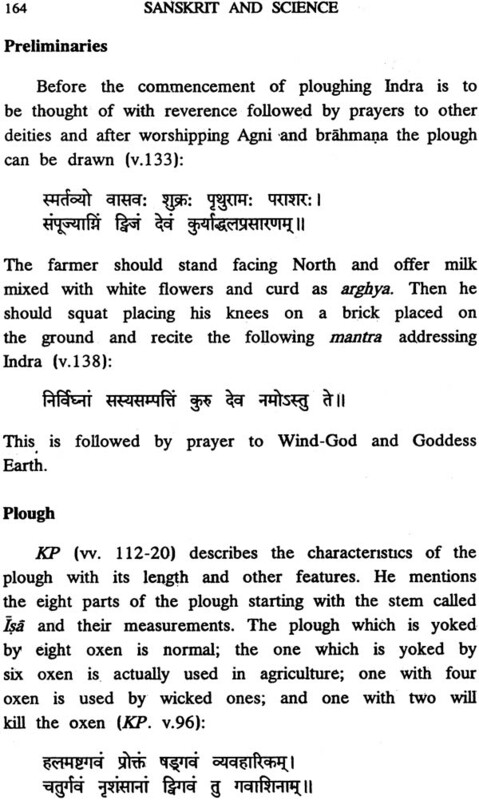 While the splendour and beauty of Sanskrit produced beautiful poetry and highest philosophical thoughts, its precision made it the best vehicle for the conveyance of scientific ideas. Thus one sees many sciences including mathematics, astronomy, metallurgy medicine, ship building, engineering, military science and veterenary science, all being expounded in Sanskrit. As the Lord says in the Gita, this knowledge was gradually lost due to various causes and the efflux of time: sa kaleneha mahata yogo nastah parantapa. 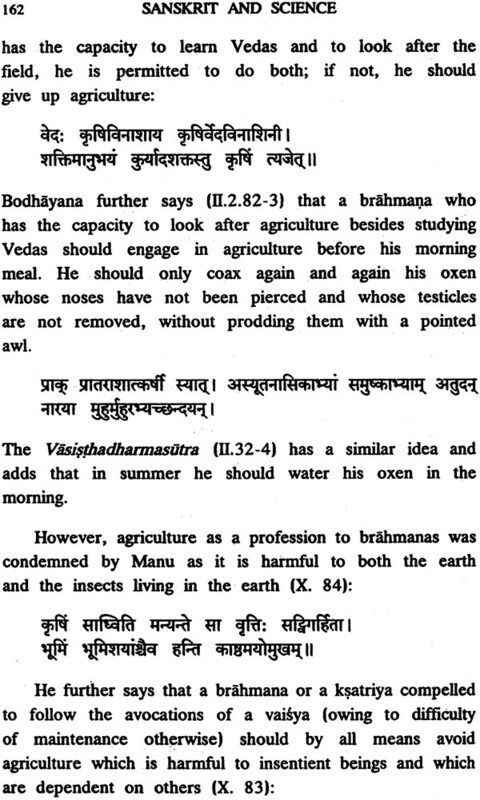 To add to this, in the recent centuries, a systematic effort was made by our foreign rulers to ridicule and downgrade Indian knowledge and science in all fields, so much so that we ourselves began to believe that all science is only of western origin. Luckily there has been a great renaissance in our country about our own heritage of science and wisdom and this has led to a revival of science and wisdom and this has led to a revival of interest in our scientific achievements. Tributes are to be paid to the Kuppuswami Sastri Research Institute, for playing a leading role in this renaissance and for their conducting two interesting seminars on Sanskrit and Science and Sanskrit and Medicine. These seminars gained special significance as they were conducted in the holy presence of their Holinesses the Kanchi Sankaracharya Swamigal, both of whom are erudite scholars of Sanskrit. The papers presented at this conference from the chapter of this book. The opening chapter by Dr. Raja Ramanna is a thought-provoking presentation of the inter-woven thread of Sanskrit and our culture in the evolution of Science, Philosophy and Art. The profundity and precision of astronomical observations by our forefathers is focussed in the paper the Clock of the Night Sky. The chapters on the Relevance of Sastras for Natural Language Processing and Knowledge Representation through Sabda Bodha and Sanskrit Grammar evoke our admiration. Then we come to the modern age of computers by the presentation: A Paninian Processor for Machine Translation. The great concepts of Ayurvedic Health and Medicine are known the world over and Dr. Sambasivan tries to correlate Vedic observations with our modern ideas of anatomy and physiology; the Scholarly chapter on the difference between Ayurveda and Allopathic system of medicine is thought-provoking. The great Science of Yoga, the masterpiece of Indian science and though is brought is brought into focus by the next chapter which discusses the Clinical Application of Yoga and the chapter on Svarodaya Science of Yoga for All (Part III). 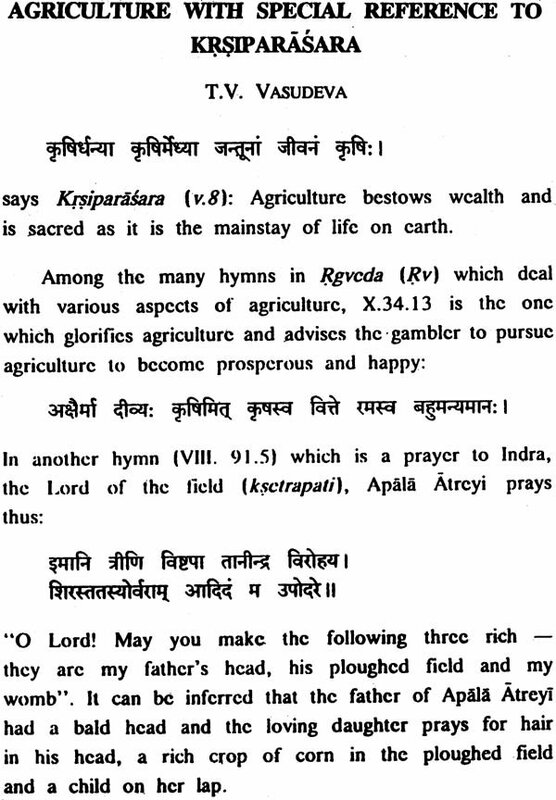 The third section which contains presentations on Cartography in Ancient India, and Agriculture with special reference to Krsiparasara make us admire the wisdom and foresight of our forefathers. This small book full of information and wisdom is interesting to read; at the same time it is thought-provoking. As all the participants in the forum are attempting to convey to us profound knowledge, the chapter are to be read critically and in depth to derive full benefit and to admire the wisdom of our Ancients and the greatness of the Sanskrit language. This book gives us only a glimpse of the vest ocean of knowledge in the field of Sanskrit and Science, but if it enthuses some of us to delve deeper in this fascinating area, the seminar and the publication would have served their purpose. The Golden Jubilee of any institution is a memorable event. It is especially so of the kuppuswami Sastri Research Institute founded in 1944-45 and which has made consistent and diverse valuable contributions to Oriental, Indological and Sanskrit research. The Institute is therefore delighted to have successfully arranged varied public and academic functions during 1994-96 to mark the glorious occasion commensurate with its national and international standing. The various events in this connection included the Inaugural and Valedictory functions held on 30th April 1994 and 10th August 1996; Commemoration Lecture Series inaugurated by H.H. Andavan Swamigal on 1.10.1995 and followed by scholars in India and from outside giving talks on their special fields of research; national and international seminars/symposia, Pandita Parishad, presentation of Sanskrit Drama and release of scholarly publications. The Institute is sincerely thankful to the distinguished scholars, savants well-wishers and friends for their spontaneous participation in the year –long events. The present book under the title ‘Sanskrit and Science’ covers the select papers presented at a day-long symposium on the same theme held at the Institute on 9th October 1994 and a seminar on ‘Sanskrit and Medical Science’ held on 23rd January 1995 to mark the Institute’s Golden Jubilee. The symposium was inaugurated by the renowned physicist and many-faceted scholar, Dr. Raja Ramanna, With an interesting and thought- provoking illustrated speech on ‘Science, Philosophy and Art’. The seminar on ‘Sanskrit and Medical Science’ was conducted under the benign presence of their Holinesses Sri Jayendra Saraswathi Swamigal and Sri Sankara Vijayendra Saraswathi Swamigal of Kanchi Kamakoti Peetham. The participants in the symposium and seminar, as paper-presenters and observers, were all highly qualified inter-disciplinary scholars. 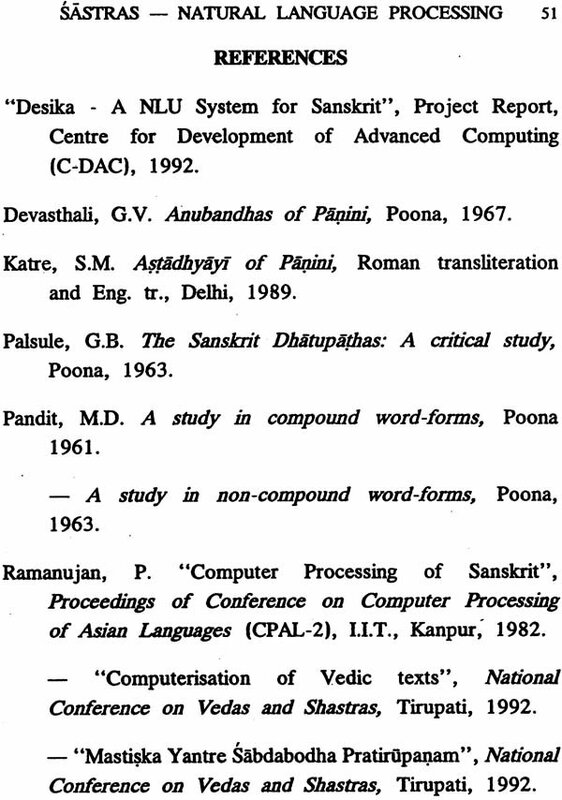 These included traditional scholars who had interacted with computer scientists, specialists and practitioners in the disciplines of yoga, India Medicine and Allopathy well-versed in Sarskrit, Computer Engineers who had worked on Sabdabodha, Paninian grammer etc., and scholars in Astronomy and Mathematics with sound knowledge of Sanskrit. They were drawn from different organisations like the University of Madras (Departments of Mathematics, Matscience and Sanskrit), I.I.T., Madras, Venkataramana Ayurveda Collage and IMPCOPS, Madras and Apollo Hospital, Madras; CDAC, C.S.I.R. and Department of Computer Science and Automation, Bangalore; Medical College, Trivandrum; and Birla Institute of Technology and Science, Pilani. The rich documented information provided at the symposium/seminar by such inter- disciplinary scholars is presented in Parts I and II in the publication for the benefit of a larger audience. 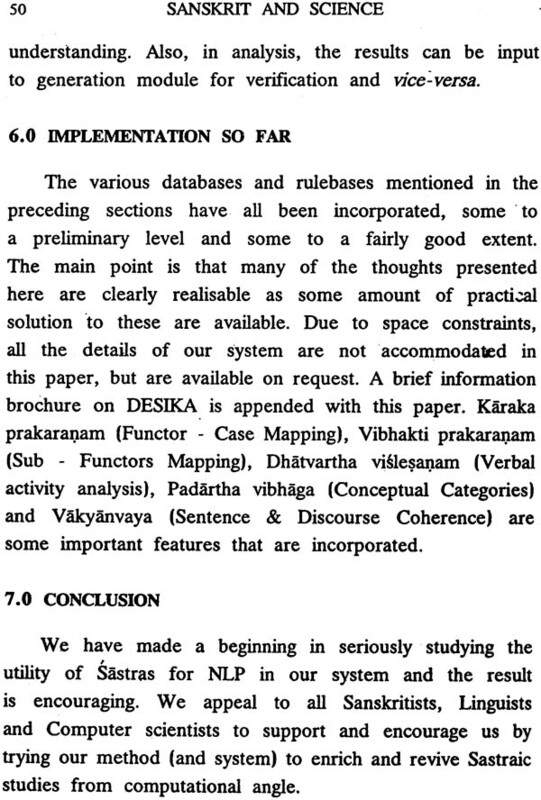 The transcription of the Inaugural speecd of Prof. Ramanna was also kindly gone through by him for this publication. The Institute is thankful to all the scholars for their kind participation in the seminar/ symposium. Special thanks are due to the internationally famous neuro- surgeon, Dr. B. Ramamurthi for not only presiding over the seminar on ‘Sanskrit and Medical Science’ but also for his contributing a Foreword to the Publication. 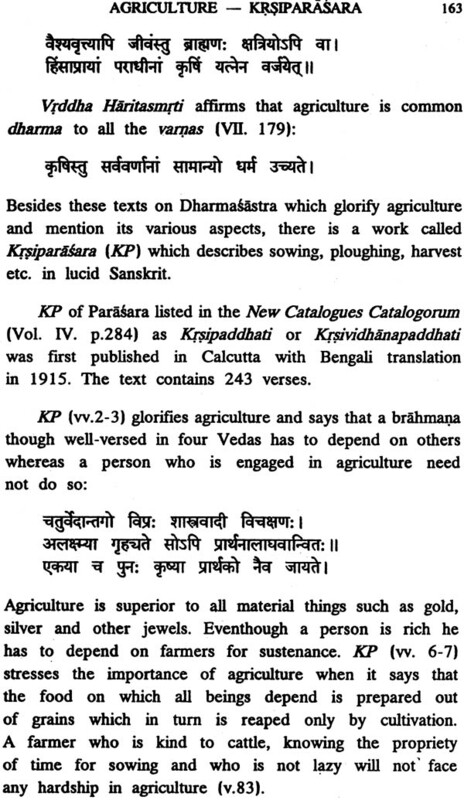 The third part of the book carries useful material on two practical disciplines of Cartography and ‘Svarodaya Yoga’, as also agricultural information from a hitherto not well-known text ascribed to Parasara. They have been specially contributed by the academic staff of the Institute, Dr. V. Kameswari, Mr. K.S. Balasubramanian and Mr. T.V. Vasudeva. I am privileged to add here that the Institute which has concentrated more on Indological and Sanskrit research during the last five decades, has also occasionally involved itself in inter-disciplinary activities. I may be permitted to mention some of these in this context like, - the articles of Dr. David Pingree (U.S.A.) on ‘Influence on early Sassanian and Arabic Astronomy’ and of Dr. S.R.N. Murthy on ‘Geo-scientific aspects of Vedic Spiritualism’ in our prestigeous Journal of Oriental Research; the research work of Dr. A.S. Ramanathan (former Deputy Director-General of Meteorology) on ‘Weather Science in Ancient India’ during 1938-86 as a Research Fellow of the Indian National Science Academy; publications like the critical edition from manuscripts of Vakyakarana with the commentary of Sundararaja by Sri T.S. Kuppanna Sastri and Dr K. Sarma in 1962, as also of Acarya Vahata;s Astanga Nighantu by Dr. P.V. Sharma in 1973; and the monographs “Sanskrit astronomical tables in ‘Eclipses in Hindu Life and Thought’ by Dr. Jayasree Hariharan, in 1995. In the words of Dandin, an early alankara writer, ‘Samskrta’ is ‘daivi vak’, a language that is truly ‘divine’ and ‘illuminating’. Mundane materials on all technical disciplines are imbedded in it, as much as the ‘other-worldly’information; but the scientific materials are found expressed in a special temper, tone and context so that they are to be culled patiently and analysed objectively from varied scattered sources. This is indeed a difficult task. In fact, Sir S.V. Ramamurthi, I.C.S., the then adviser to the Governor of Madras, a great scholar and an original thinker, while formally inaugurating the work of the Institute in April 1945 at the Sanskrit Collage campus, has observed – “The vision of the unseen is pictured in the form of deities who are atoms and molecules of mind and spirit. As physics progressed to Chemistry, meta-physics. What are the primary atoms of mind and spirit? The qualities need to be examined in order to deduce, if we can, an atomic and numerical order.. Brahman is atomic and has number, has both ‘Anurupam’ and ‘Sankhya-rupam’. Atoms and atomic numbers of matter have been discovered by the West. It is upto India to discover the atoms and atomic numbers of deities and men, of spirit and mind”. The illuminating paper of Prof. Ramanna on ‘Science, Philosophy and Art’ signals perhaps, one of the right directions to the type of research suggested by the scholar-statesman Sir S.V. Ramamurthi. 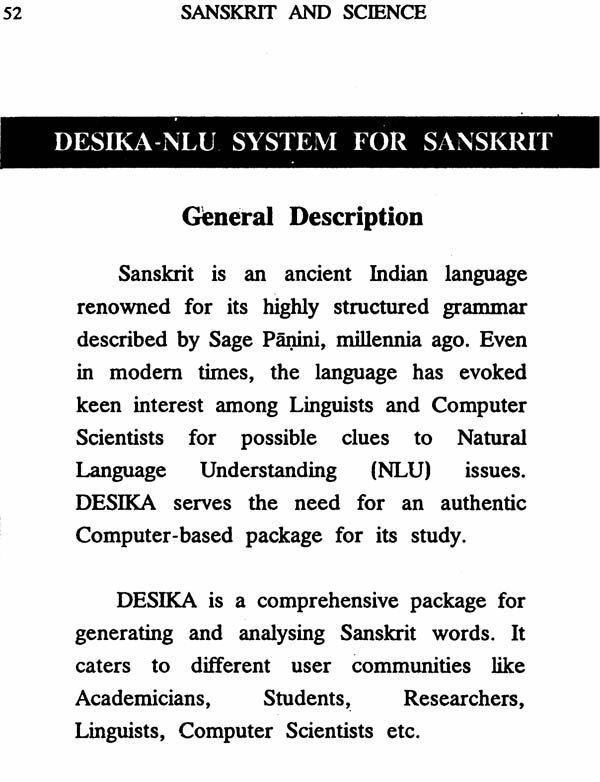 I hope and wish that the Institute has more such opportunities for unravelling the technical truths imbedded significantly in Sanskrit language and literature. M/s Vignesha Printers are to be thanked for their neat printing.